Held over lunch on Wednesday 12 October at Dolton House at Jones Bay Wharf, some of the state’s most valued cleaners exchanged their uniforms for suits and dresses to enjoy a special day dedicated solely to them. 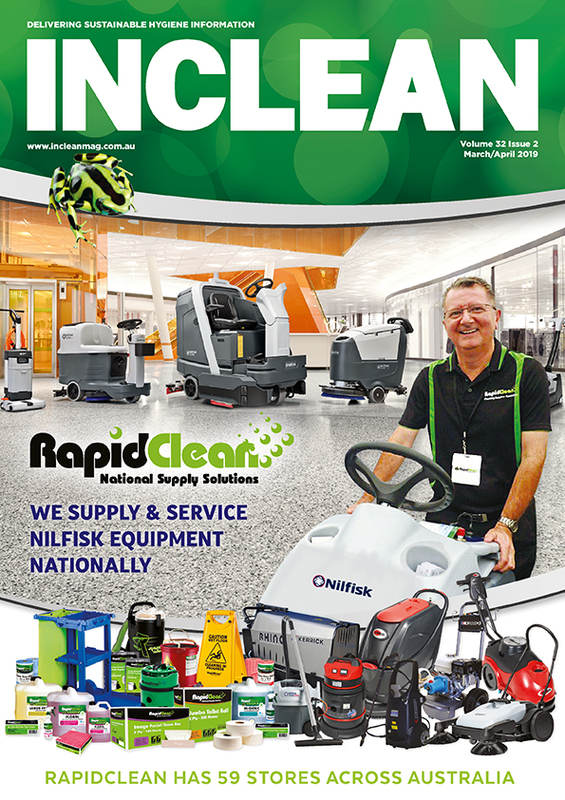 With more than 14 per cent growth, which resulted in the largest member rebate in the history of the group, it’s no wonder the theme of the 22nd RapidClean conference was the ‘rise of rapid’. Presented by the NCSA the 2016 Clean Scene trade exhibition, in conjunction with Safety in Action, saw an influx of attendees during the morning across all three days, held from Tuesday 6 to Thursday 8 September at Sydney Showground. John Hardy, the new boss of vacuum cleaner retailer Godfreys, has a pointed opinion on the value of good customer service, reports an article by Simon Evans in the AFR on 5 September. The National Cleaning Suppliers Association (NCSA) and ISSA, the leading trade association for the global cleaning industry, have announced an exciting and mutually beneficial merger between the two organisations. The share price of toiletries manufacturer Asaleo Care has plunged 30 per cent after the group slashed its full-year guidance on the back of a 23 per cent slump in first-half profit, reported The Australian on 22 July 2016. Premiership winning AFL player Michael O’Loughlin has embarked on a new career in the corporate cleaning and property maintenance sector with a focus on helping indigenous Australians find meaningful work. Innovation, technology and engagement were the buzz words of the 2016 Jena Dyco’s Mould and Restoration Conference held 2 and 3 June at the Pullman Hotel, Albert Park, Melbourne. If the atmosphere on the show floor was anything to go by, the CleanNZ Expo surpassed exhibitors’ expectations with a more fitting venue at the spacious ASB Showgrounds, Auckland, held 19 and 20 May. The 2016 edition of ISSA/INTERCLEAN has come and gone, held 10 to 13 May, and as expected the 30,289 visitors from 134 countries made the show a resounding success. Jena Dyco has confirmed the finalists for the 2016 Restoration Industry Awards, of which the winners will be announced at the Mould and Restoration Conference gala dinner to be held 3 June. The BSCNZ CleanSweep Awards in association with Staples are back for 2016. The Oscars of the New Zealand cleaning industry will be held during the CleanNZ Expo Gala Dinner at the Logan Campbell Centre.